Our food needs to become more sustainable. But how do you make this message appealing for youth? 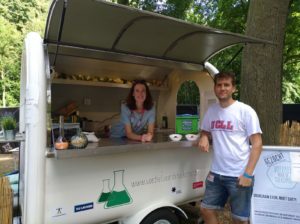 The province of Vlaams-Brabant, the Colruyt Group, KU Leuven and Vredeseilanden challenged three students marketing from the UCLL, which resulted in the creation of a mobile Food Lab. 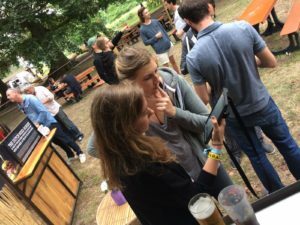 During Paradise City (23-25 June) they provided the Paradise City festival visitors to experience the Food of the Future. Their feedback will be used in the further development of new products. 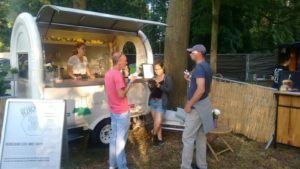 After Paradise City the mobile Food Lab will be visiting several other festivals. The college of UCLL did not hesitate to contribute to this project. 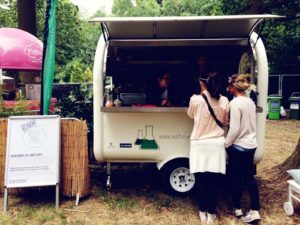 “Reaching out to youth with a message of sustainable and healthy consumption fits perfectly with our expertise and ambition regarding marketing communication strategies and goals”, says Sebastiaan Boussauw, professor in marketing. “By doing this our students are actively involved in the development and creation of new ideas concerning sustainable and healthy food, which fits within our focus of sustainable entrepreneurship. This way our students help to shape food of the future”. In the mobile Food Lab you can experience samples yourself. In preparation for Paradise City two appetizers were prepared: a homemade spring roll with seaweed and a sweet cacao & beans dessert. The chef in charge is Akkacha Benazzouz from Medina, Leuven. 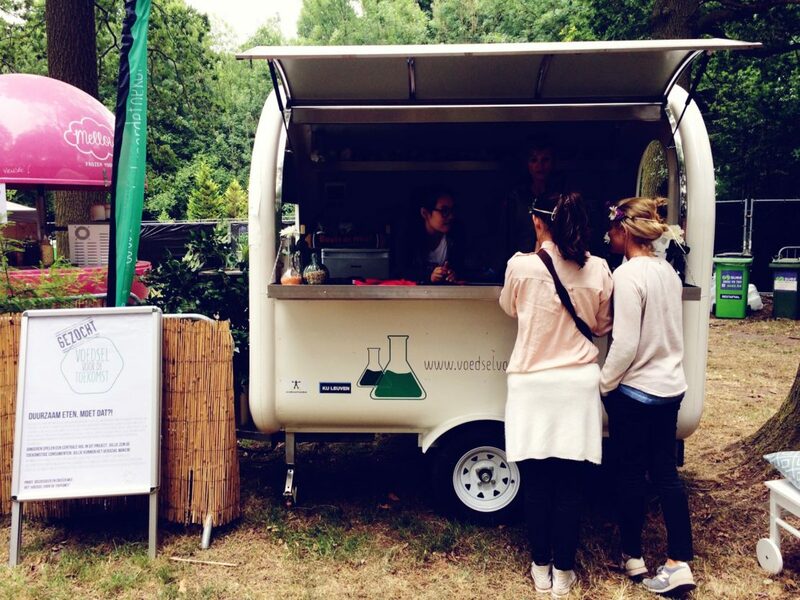 The Food Lab is an important part of the project ‘Wanted: food for the Future’. With this project the province Vlaams-Brabant, Vredeseilanden, the Colruyt Group and KU Leuven work together with youth, experts and farmers in search of products to feed the world’s population..
‘Wanted: Food for the Future’ wants to kick the debate about food for the future into a higher gear by bringing together a unique group of scientists, entrepreneurs and civil organisations. They aim to achieve this by providing new produce to supermarkets and working together with Southern farmers that work with tasty and sustainable produce. The obstacles that are encountered help shape the process and debate that takes place between all actors involved.